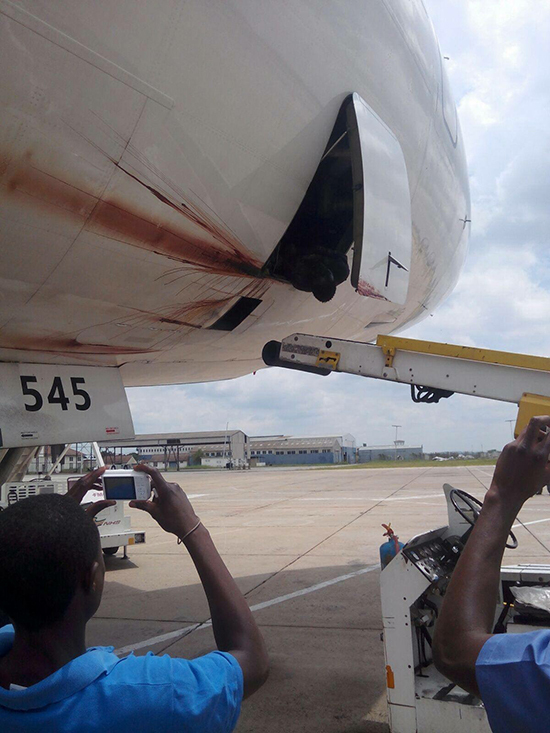 THE authorities have retrieved a body which was found on a South Africa-bound plane after it stopped for refueling at Harare International Airport. The unidentified body is thought to have been a stowaway. The body was discovered after blood was seen dripping from the US-owned plane which had cargo belonging to the South African Reserve Bank. The bank was working with authorities to ensure that the cargo was released and transported to South Africa, he told the BBC. The plane had been travelling from Germany to South Africa and reportedly carried millions of rands. Police in Harare said investigations were continuing, adding the body had been taken for a post mortem while Interpol has been engaged to help establish the nationality of the person.